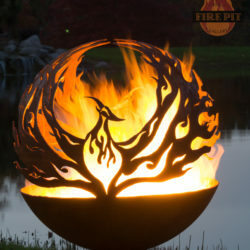 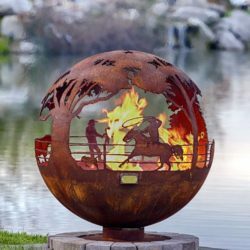 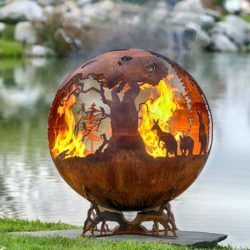 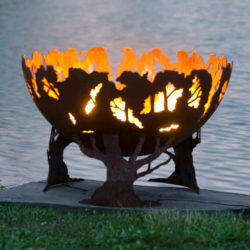 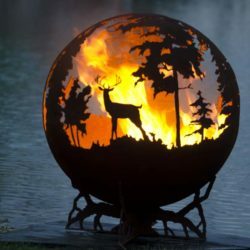 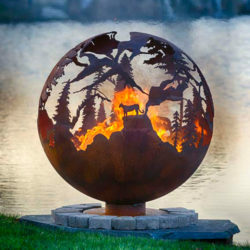 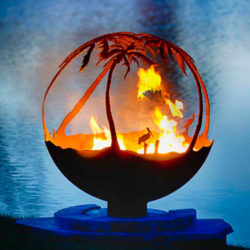 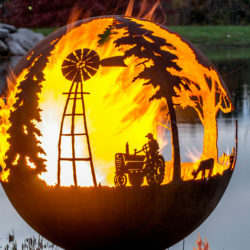 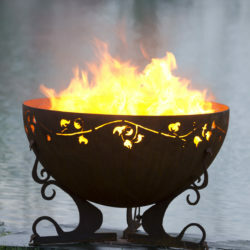 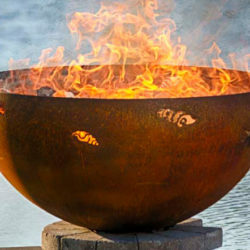 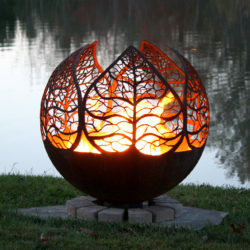 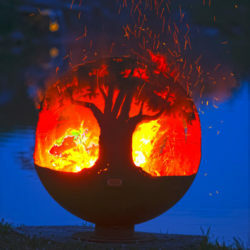 Home / Product Width / 37"
Fire Pit Sphere features Phoenix rising from the ashes. 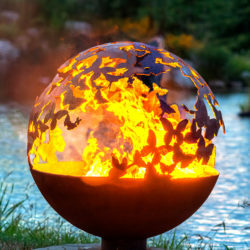 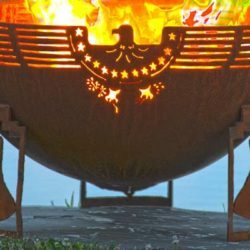 Wings – Butterflies Encircle this Steel Outdoor Fire Pit Sphere with Flat Steel Base. 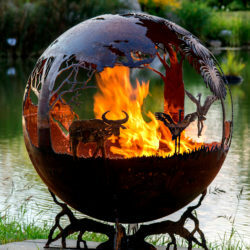 From The Fire Pit Gallery and Designed by Melissa Crisp. 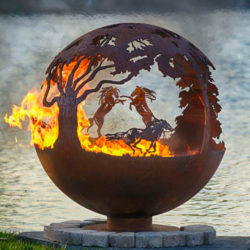 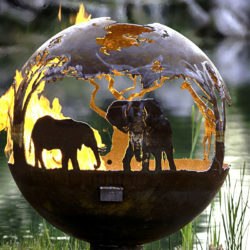 Down Under – Australia fire pit themed features kangaroos, a crocodile and a small koala.